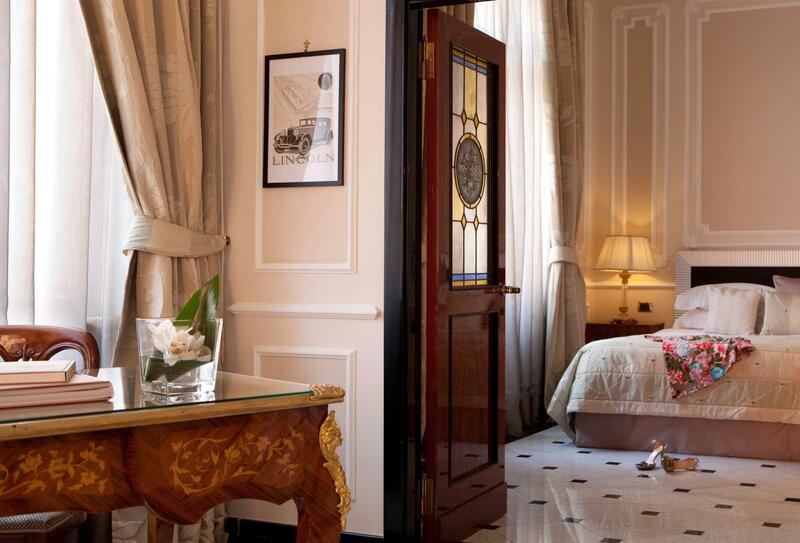 Situated on the Via Veneto in the centre of Rome, Regina Hotel Baglioni is moments away from the Spanish Steps, Trevi Fountain and Plaza di Spagna, as well as the upmarket shops of Via Condotti. 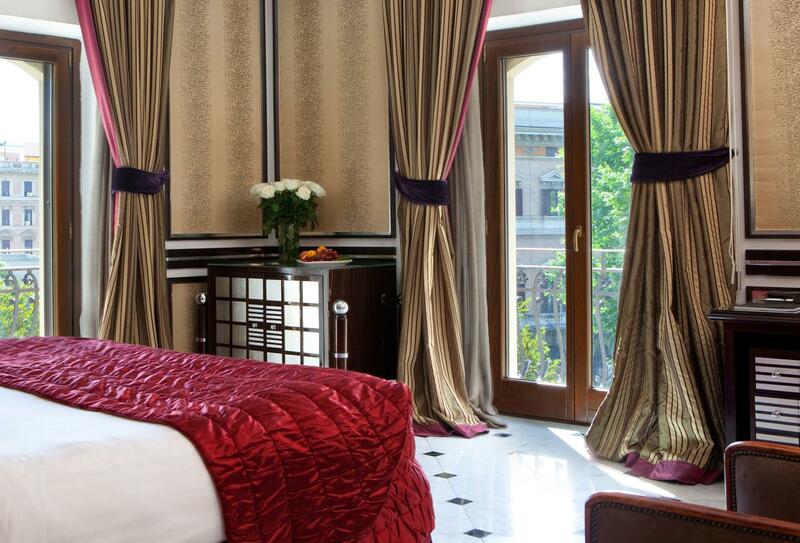 The hotel’s restaurant, Brunello Lounge & Restaurant serves traditional Italian dishes with a contemporary flair. 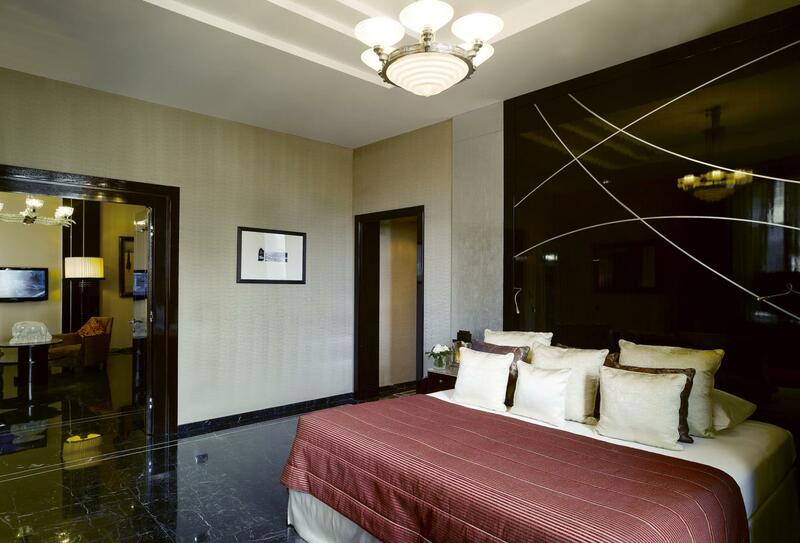 There is a fitness centre, spa and wellness centre on-site. 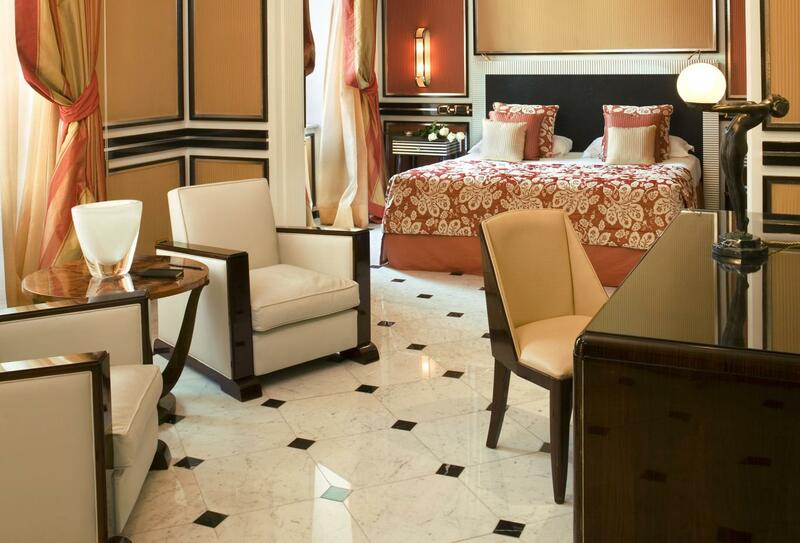 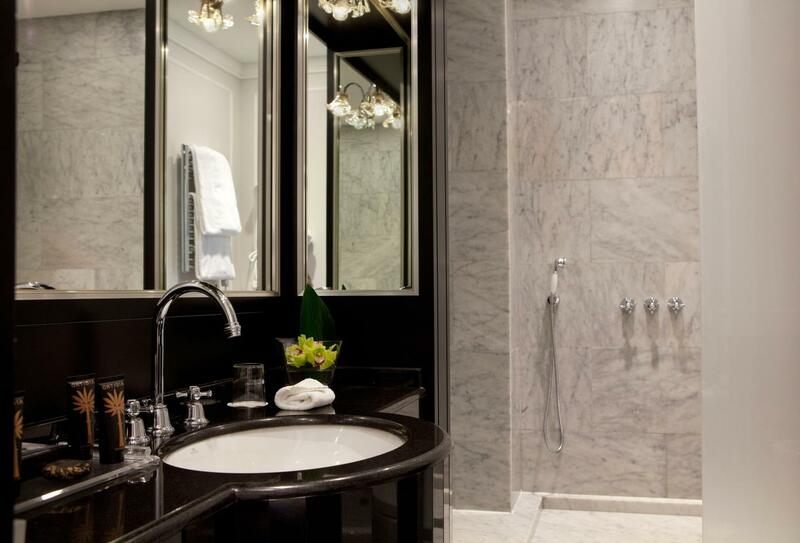 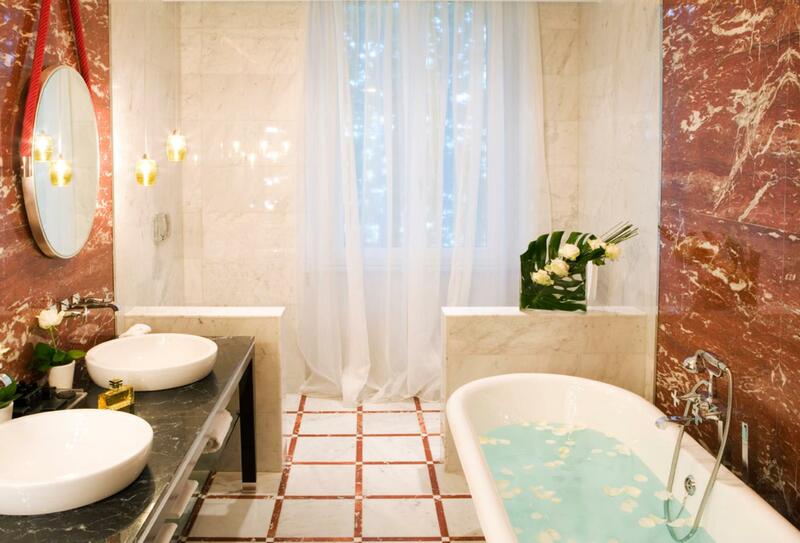 Rooms and suites feature marble bathrooms and views over Via Veneto and the streets of Rome. 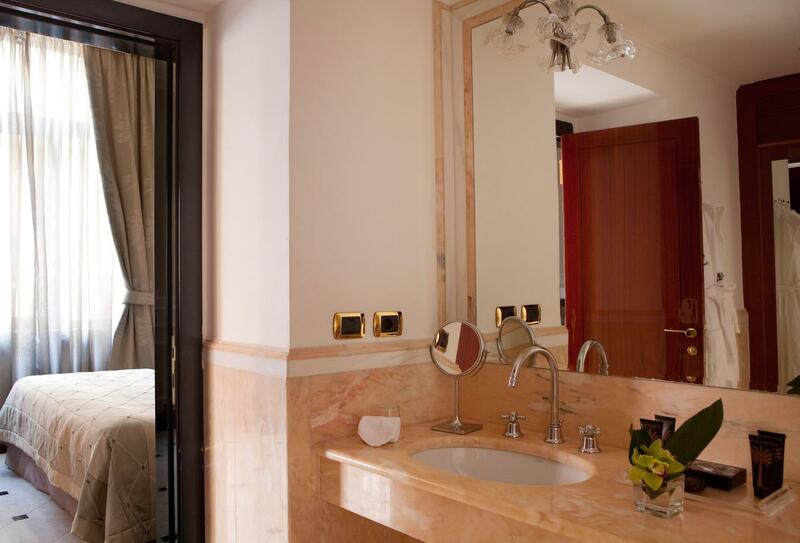 This suite opens out to a private terrace with Jacuzzi, overlooking the streets of Rome. 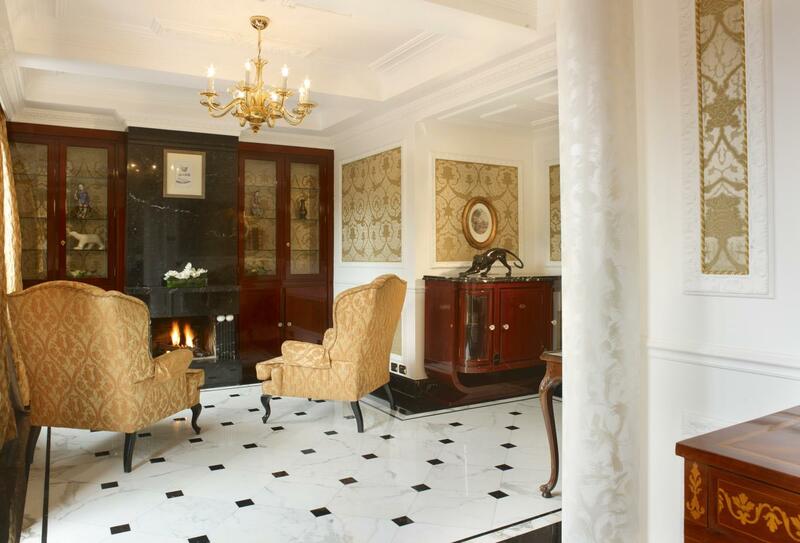 Interiors are decorated in a classic style and include a living area with fireplace. 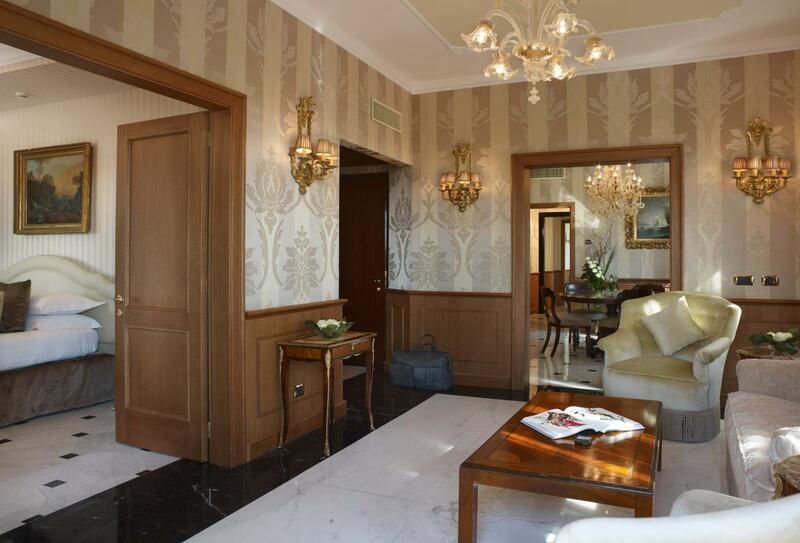 An expansive 30sqm balcony offers views of the Via Veneto and Via Liguria at this suite situated on the 7th floor. 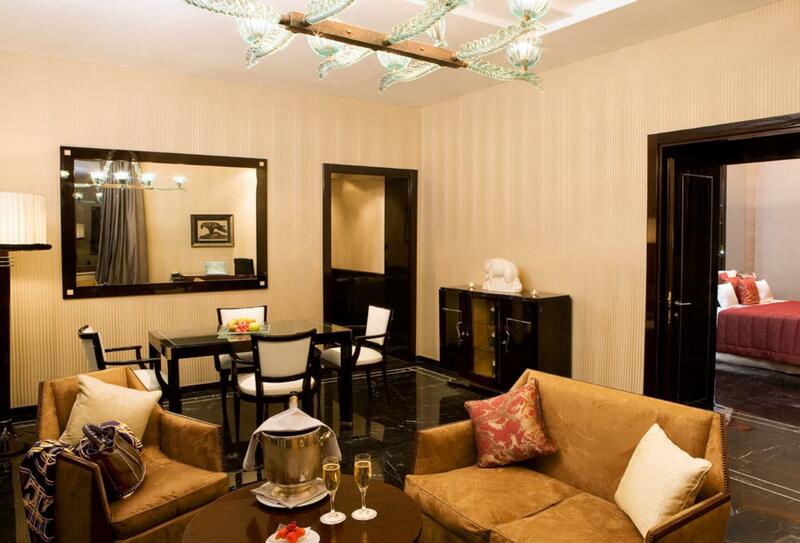 An ideal choice for families, the suite can be expanded to be booked as either a two or three bedroom version and is accessed via a private lift. 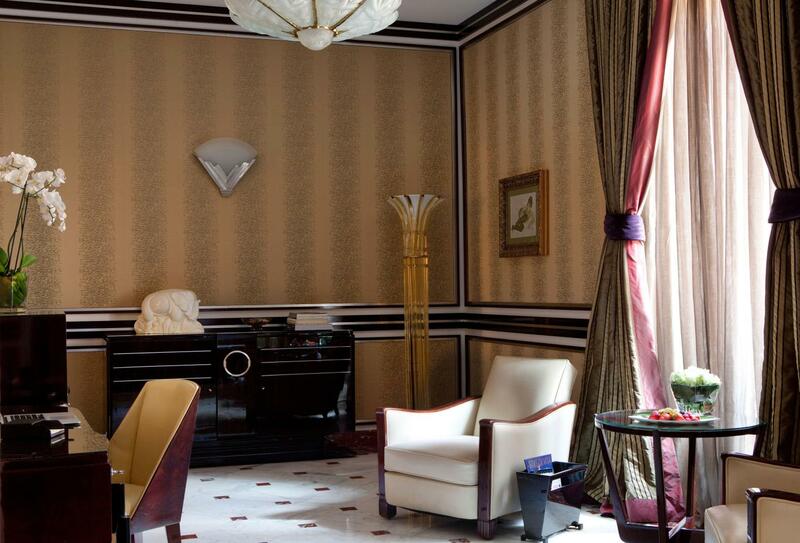 Located on the fourth floor of the hotel, this suite overlooks Via Veneto as well as the former official residence of the Queen of Italy – now the U.S. Embassy. 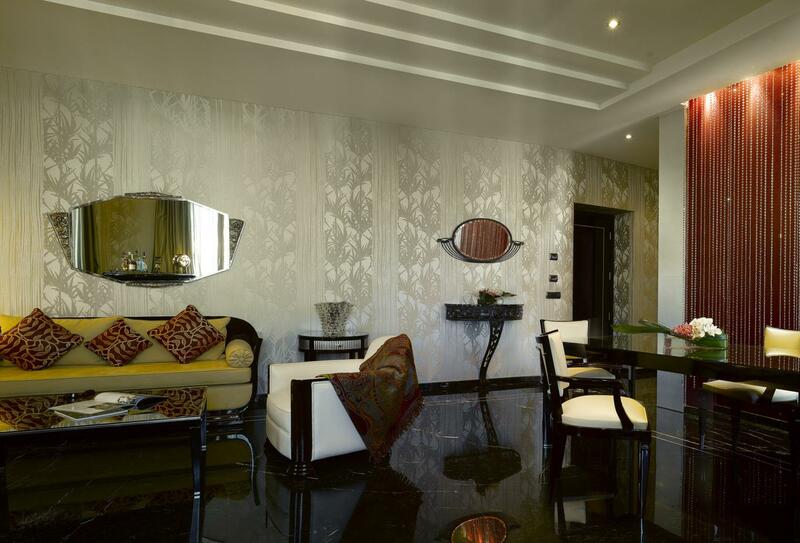 Elegant interiors include a living area, dining space and bar. 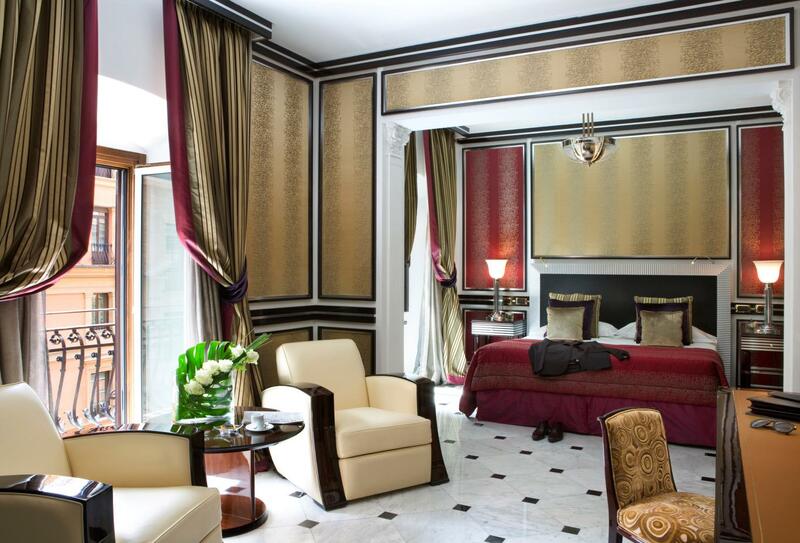 Situated on various floors of the hotel, this room is decorated in a classic Italian style and offers views of the internal courtyard and Via Veneto. 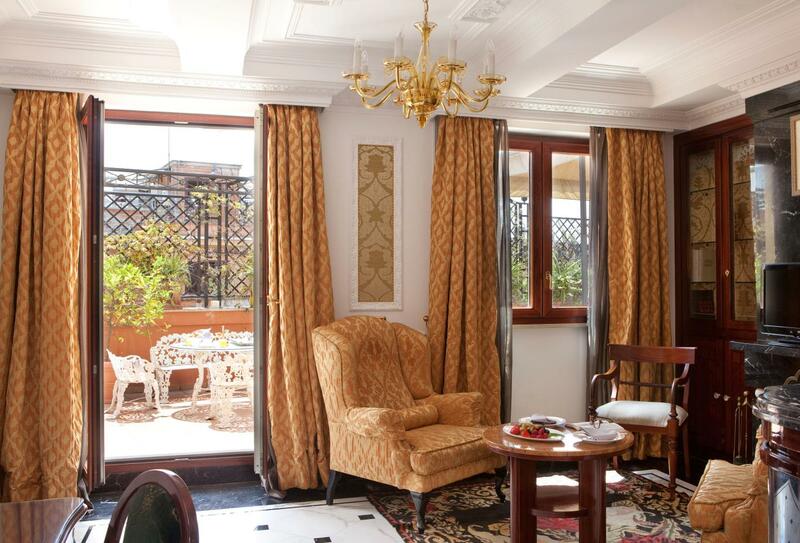 This room features original Murano chandeliers, Italian marble bathrooms and views of the courtyard and Via Veneto. 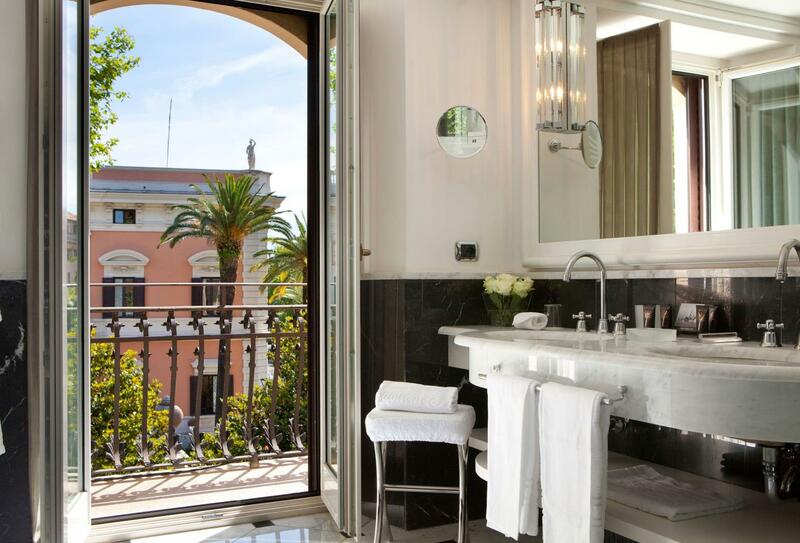 Designed with high ceilings, art-deco style and original furniture, this room offers views of the inner courtyard and Via Veneto. 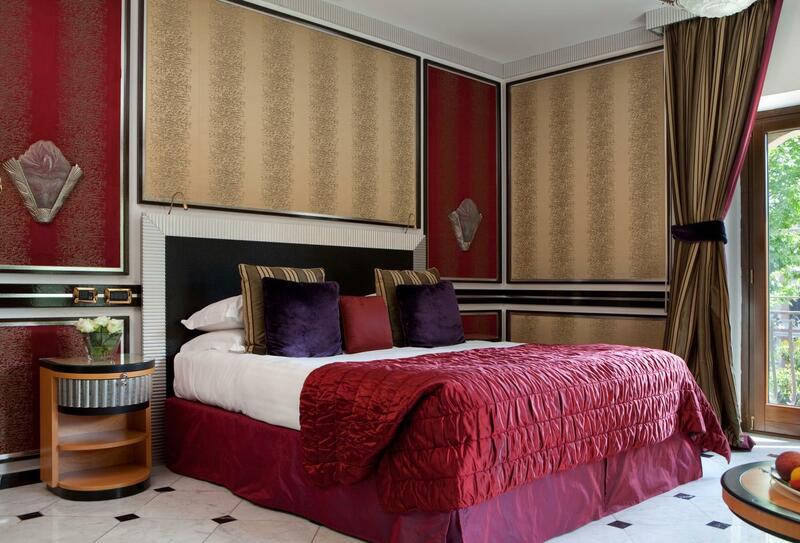 Much of the furniture in this art deco suite is original and features views of the hotel’s inner courtyard and the Via Veneto. 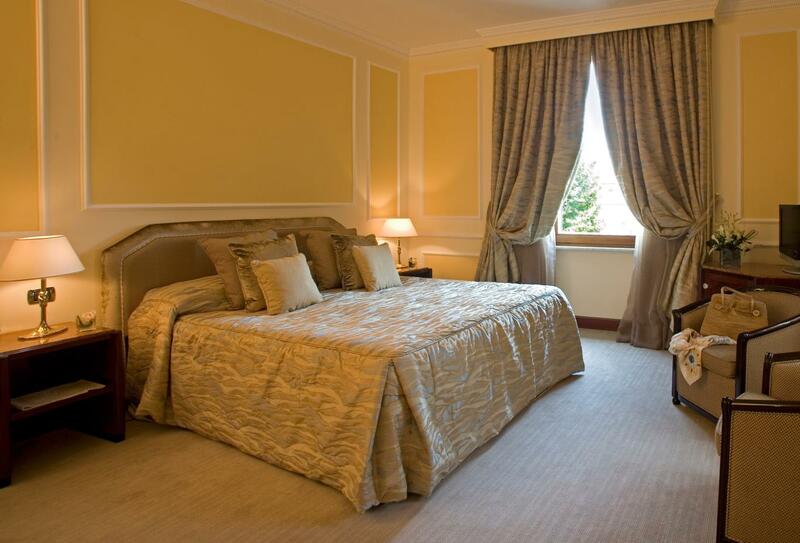 This suite has a separate living area is views of Rome’s streets around the renowned Via Veneto. 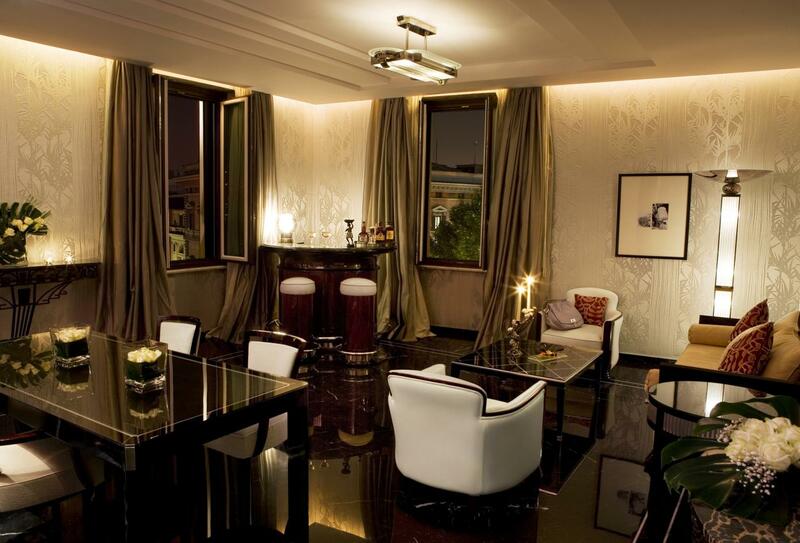 Overlooking the famous Via Veneto, this suite includes a separate living area as well as a space for dining. 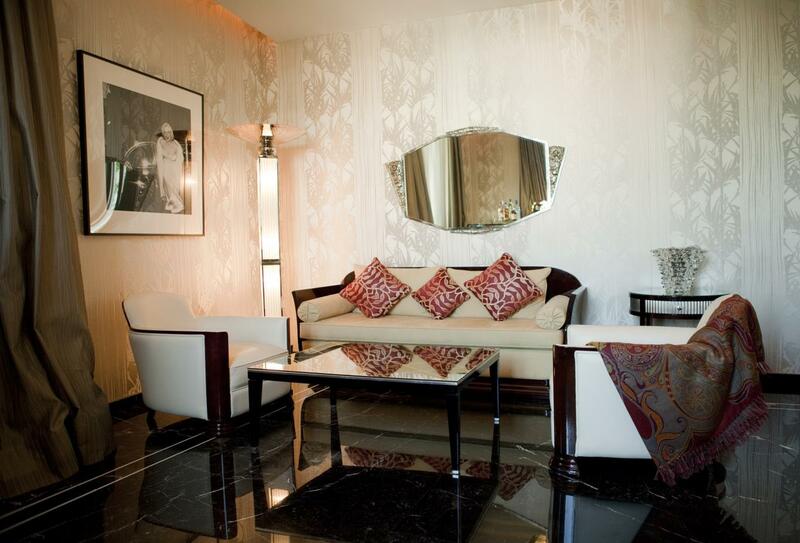 Interiors are furnished in art deco style and feature striking black marble floors. 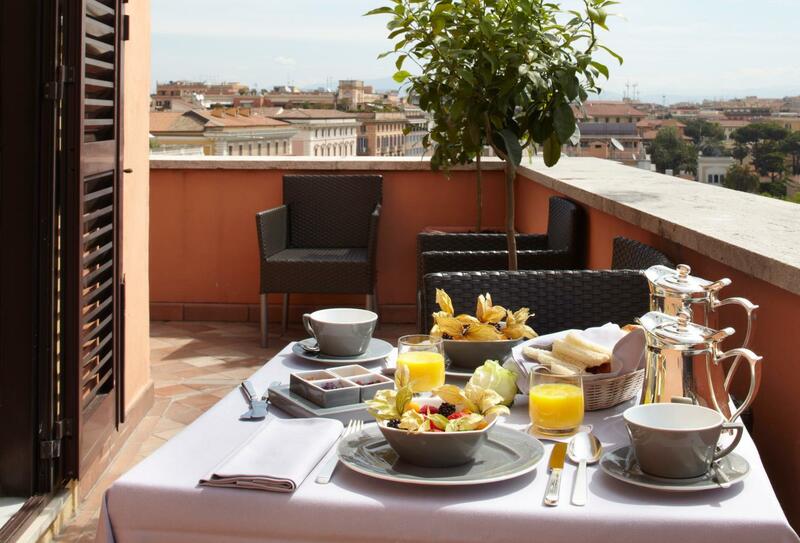 The restaurant has an independent entrance on the Via Veneto and combines traditional Italian cuisine with a contemporary twist. 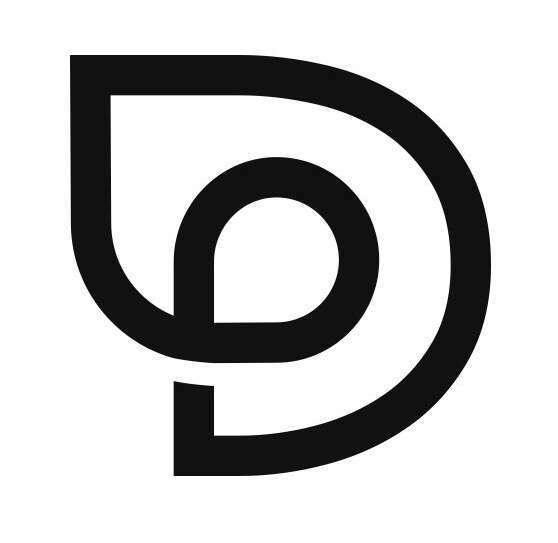 Lunch 12:30 - 2:45, dinner 19:30 to 22:45. 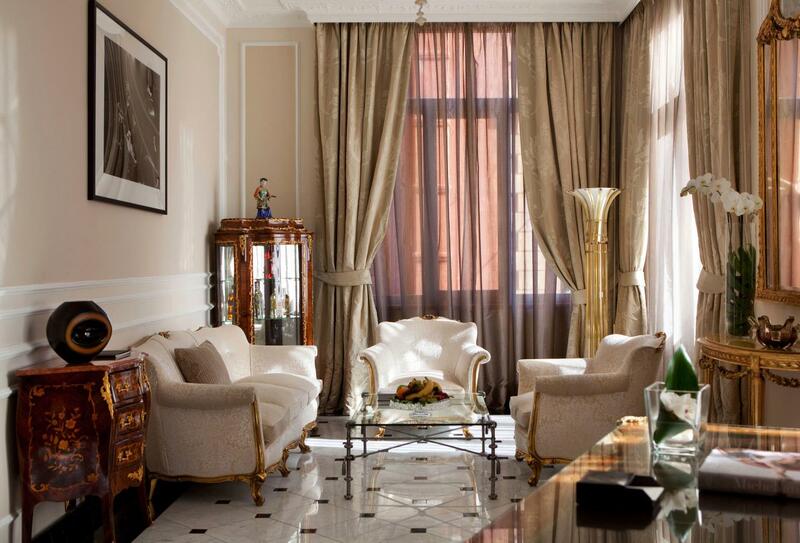 Situated in the hotel’s warm and welcoming lobby, Café Baglioni offers the perfect setting for breakfast, coffee or afternoon tea beside the elegant fireplace. 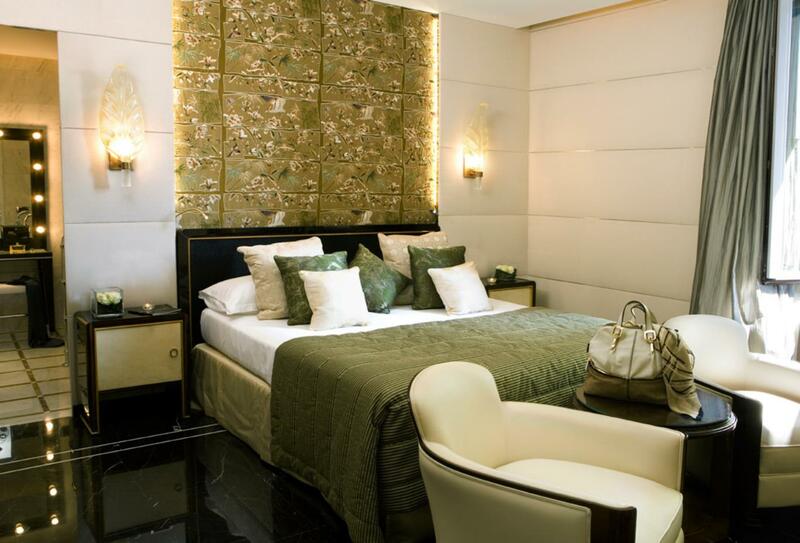 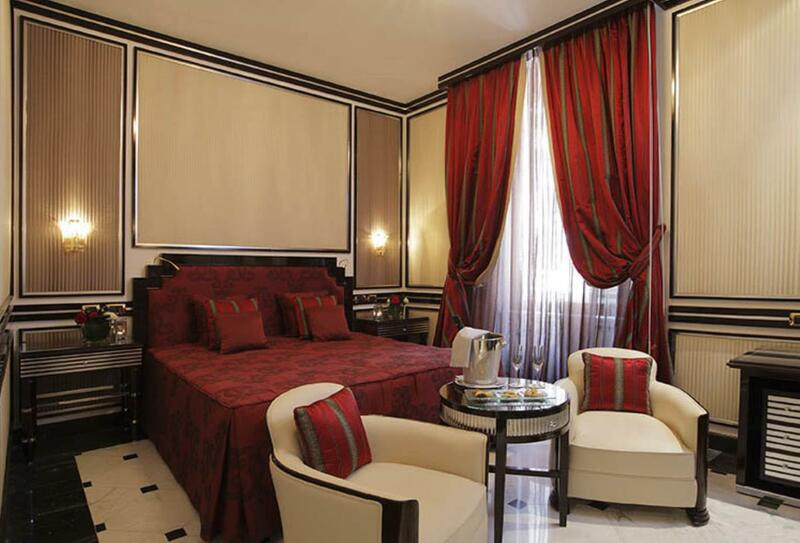 Regina Hotel Baglioni is located on the Via Veneto in the centre of Rome, close to the main attractions. 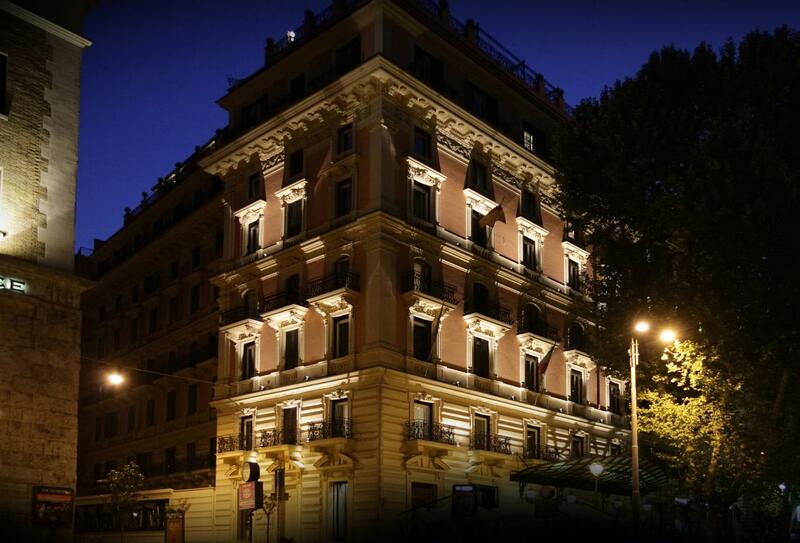 Rome Airport is situated around a 15-minute drive away.